← Insects in feed: What do consumers think? 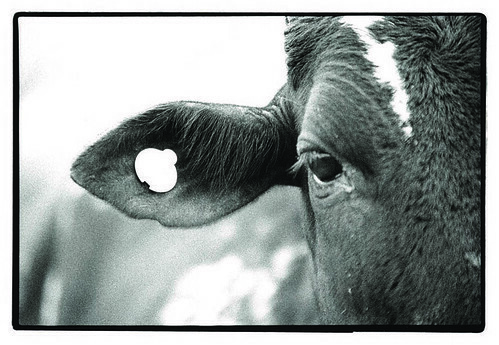 An animal vaccinated against East Coast fever, as shown by its ear tag (photo credit: ILRI/Stevie Mann). Herds of African cattle may hold the secret to new ways of fighting parasitic diseases like malaria, which kills some 600,000 people a year, scientists said on Friday. ‘The researchers from the University of Edinburgh found that cows are protected from a parasite that causes a deadly disease called East Coast Fever if they have previously been infected with a closely-related but milder species of the parasite. This discovery, they said, suggests that ‘fighting fire with fire; is a strategy that might work against a range of parasitic diseases, including severe malarial infection in people.